There are several ways to explore the city. 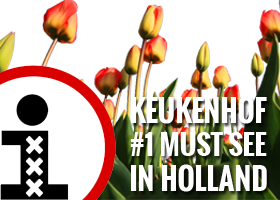 All the main attractions and sites in Amsterdam are within walking-distance. The Centre (especially within the canal ring) is really hard to reach and get through by car. It is easier to use the public transport Amsterdam network connecting all city districts; by taking a train, tram, metro (underground train), bus or ferry. Note that the tram is the most common and easiest way within the city center. 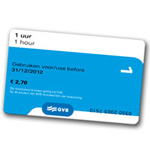 Starting around June 2011, the government introduced the ‘OV chipkaart’ (Public Transport smart card) for Amsterdam. Nowadays, this is the one and only way to get around the city. It is an electronic card available for the duration of 24 up to 168 hours. You can buy this card at many hotels, tourist information offices, supermarkets and from vending machines. With this card you have to check-in and check-out every time when you use a tram, bus or metro. You hop on a tram and instead of handing the ticket to the lady behind the desk, you need to hold it in front of a scanner near the door. Don’t forget to check out when you exit the tram! For the duration of the card, you have unlimited access for trams, buses and metro. There is also the possibility to buy a one-hour card from the drivers and conductors (if necessary). If you like to travel more outside the city center, it is useful to take a metro or bus. Using the tram is the best way to travel within the city and they run until midnight. 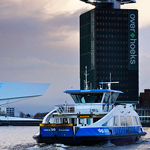 To connect the north of Amsterdam with the city center, GVB (the Amsterdam Public Transport Organisation) provides a ferry network with 5 ferry links. The main 3 links start at the central station and connect 3 different locations on the other site of the river IJ. It can be used by passengers, bicycles and mopeds and is free of charge. On this site of the Amsterdam Central Station, at the same level as the train platforms, the new bus station is situated. It is still under construction, but already in use. I am staying at a hotel in amstelveen in may and need to get transport from the airport and the later into amcterdam city centre . I am staying with three others for two nights so probably need a 62 HR pass for travel but not sure which pass to get and where from. Hope you could help? I would like to know how to get around with an electric wheelchair. Can a person get on a tram with that? We are planning to arrive by train.